A Passes to B checking in. B Receives and Passes to C checking in. A moves to B, B to C and it continues. Check on an angle to see the whole Field. 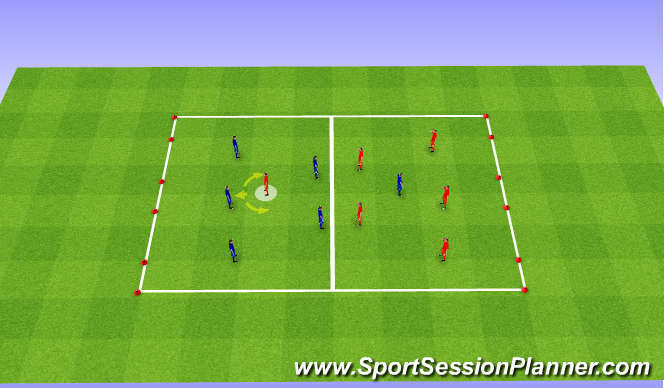 2 touch - Trap - Pass. A Passes to B checking in. B passes back to A. A passes to C checking in. C passes to B. B passes to D checking in. D passes to C. C passes to E checking in and repeats. After pass - move to next spot. 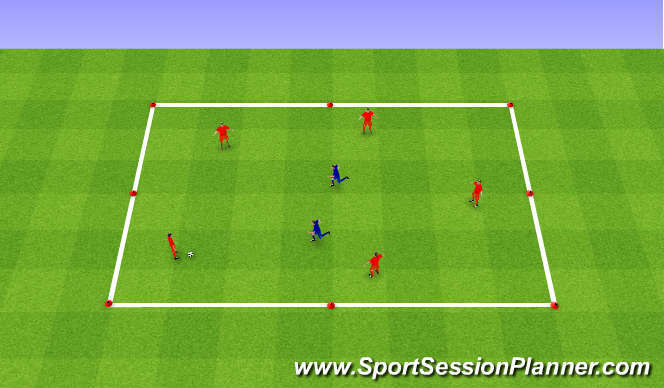 After pass - move deeper to receive and pass again. 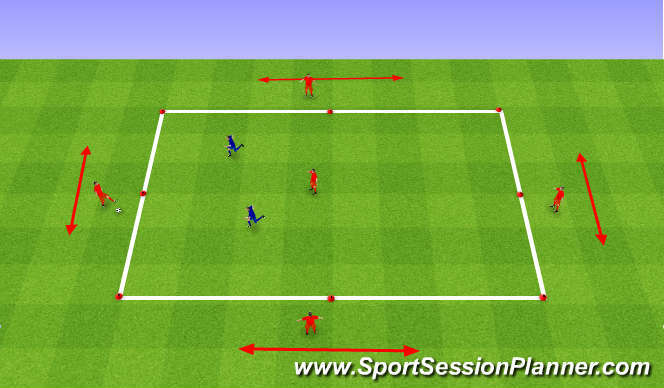 10 passes - Must find inside player 1 time in that 10 passes for point. If blue wins ball, switches with Red right away. 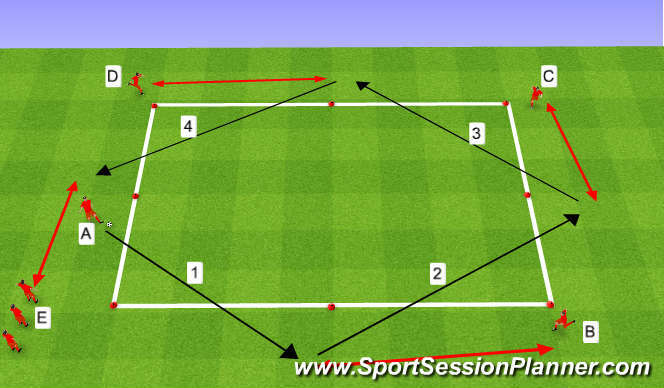 3 goal game - Directional. 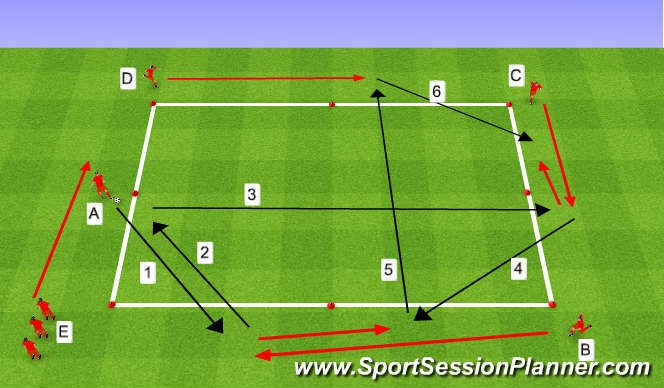 If score, must do 7 passes before scoring again.